Folk Songs, the new installment in the LIEDERPROJEKT, invites you on a musical journey of discovery around the British Isles! 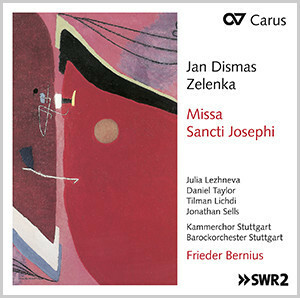 As well as a wonderful choral collection by editor Mirjam James, there is also a CD with Calmus Ensemble. 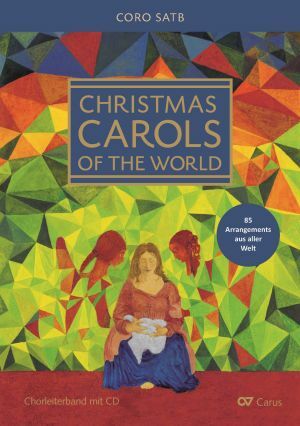 The choral collections published by Carus for Advent and Christmas time contain a wide and stylistically varied range of easy-to-sing arrangements and motets from all eras and continents, arranged by many leading composers. As well as the traditional classics, there is also a delightul range of new songs for you to explore – with melodies from Latin America and Australia, for example. 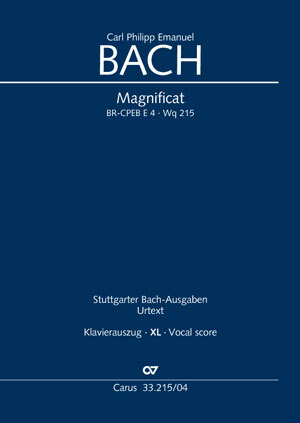 For each choral collection separate editions are available. ›› Discover now! The latest installment of the LIEDERPROJEKT invites you on a musical journey of discovery tracing traditional folk songs! 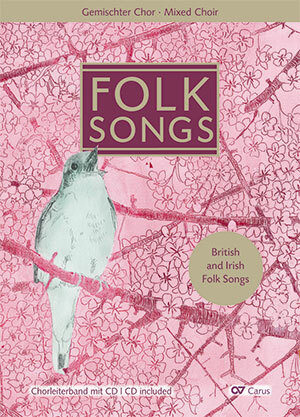 Editor Mirjam James has traced the musical traditions of the British Isles way before the Beatles, and has compiled a superb selection of folk songs to make a wonderful choral collection. 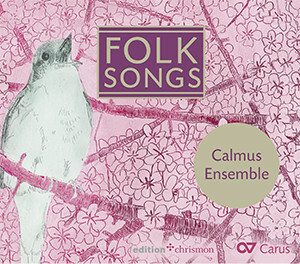 Calmus Ensemble has recorded six arrangements from this collection for their newly-released CD: With Folk Songs, the Calmus Ensemble invites you on a vocal journey around the world! From Ireland and England to Scandinavia, Russia, Taiwan and all the way to Ecuador! And as well as the major standard works, our choral collections offer arrangements of German and international Christmas carols and motets in a wide range of different styles, all excellent to sing, and for different scorings. For all the choral collections the pieces are also available in separate editions. 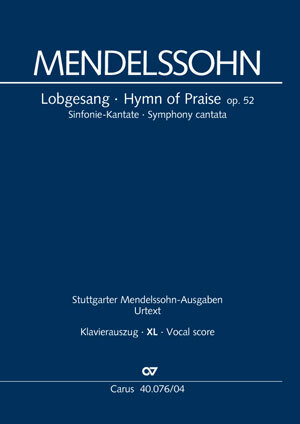 New issues this month in the Vocal scores XL series include Mendelssohn’s Lobgesang (Hymn of Praise), C. P. E. Bach’s Magnificat and Schubert’s Magnificat in C.
As well as this, for all editions full scores, vocal scores, chorus scores, and complete performance material is naturally available. 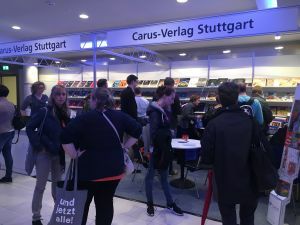 TThe Carus Choir Coach offers choir singers the unique opportunity to study and learn their own, individual choral parts within the context of the sound of the entire choir and orchestra. For every vocal range a separate CD containing each choir part is available. 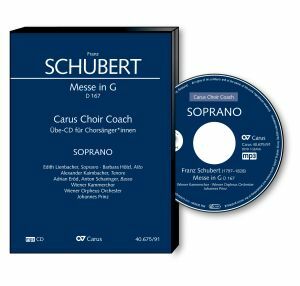 A new release in the series is Schubert’s Mass in G D 167. 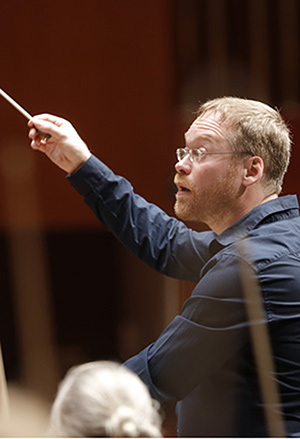 In this work, the challenges for the choir (including a high soprano part) should not be underestimated – despite the simple, charming melodic style, and the clear overall structure of movements. 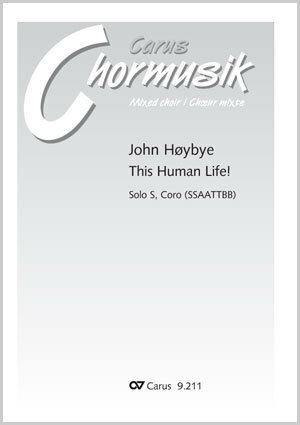 John Høybyes This Human Life! for solo voice and mixed choir deals with thoughts about life and death, worries and speculations that occupy our minds. The music is "classical" yet contemporary – and as always with Høybye – coloured by a touch of jazz. 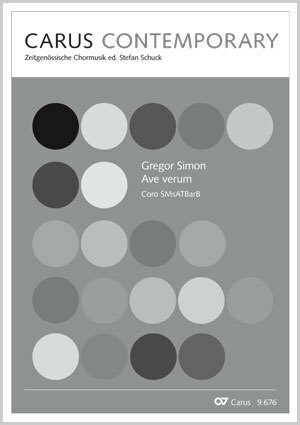 Gregor Simon’s setting of the Ave verum for mixed unaccompanied chorus focuses on the crucified Christ with its tension-laden developmental arc. Modal sequences of sounds conclude the piece in an atmosphere of devotion and peace.